If you're facing charges for reckless driving in Olympia, a conviction could have a dramatic effect on your life for many years. The penalties for this Washington State criminal offense are often underestimated by drivers, but a conviction will cause your license to be suspended. Additionally, a Washington judge could also impose discretionary penalties of up 364 days in jail and $5,000 in fines, something to avoid at all costs. Our Olympia reckless driving attorneys will help you get a better understanding of these serious charges, so that you can take the next step toward resolving your case. Reckless driving is more than just an ordinary Olympia traffic infraction, and ignoring the charges may instigate even harsher punishments. Our attorneys will look for issues with your Olympia reckless driving case that could be used to challenge the charges in Washington court. Still, much will depend on the police reports relative to your case, but a qualified legal professional that has the tools and experience to thoroughly investigate the circumstances surrounding the violation can offer you sound guidance. After being charged with reckless driving in WA, most Olympia defendants simply want to minimize the damage however possible, keep their driving privileges, stay out of jail, and mitigate their fine. Our Olympia reckless driving lawyers focus on these goals because they understand how detrimental a conviction can really be. Our Olympia reckless driving attorneys will also offer information about Washington's "Habitual Traffic" Offender laws. These laws state that if you get three marks against your license in a five-year period, you could have your driver's license revoked for seven years. An Olympia reckless driving conviction counts as one mark. Working with one of our Olympia reckless driving lawyers helps alleviate some of the emotional strain caused when dealing with the Washington court system. You can also take comfort from the fact your legal rights are being protected. If you’ve been charged with reckless driving in Olympia, then you need to understand the crime in its entirety. Reckless driving is described as a “...willful or wanton disregard for the safety of persons or property, ” but what does this mean for you, and how can you defend yourself? With over three decades of combined experience handling complicated Washington State criminal cases in Olympia, our law office is ready to help you resolve your case with expediency. If you would like to make an effort to keep your license and retain your freedom, you can contact one of our Olympia reckless driving attorneys today for a free consultation. Your cost-free case evaluation is an opportunity to get some reliable information about your Olympia reckless driving charge, so that you can start laying a foundation for a defense. In the opinion of our team of litigators, many people are charged with reckless driving needlessly and without just cause. 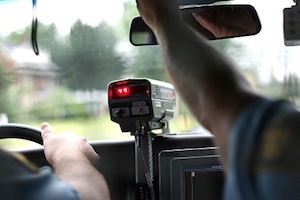 If you believe that an officer misrepresented what he observed before charging you, then one of our Olympia reckless driving lawyers will take the important steps to protect your legal rights. We are ready to aggressively defend you against the relentless machinery of the Washington Court system, using every legal tool at our disposal. Contact our Olympia law office today, and you can talk to one of our dedicated legal professionals. Don't allow a reckless driving charge in Olympia damage your life or your driving record. Call us today and get help from professional attorneys that can help you take the next step.